Medication reconciliation is the process of comparing a patient’s medication orders to all of the medications that the patient has been taking. This reconciliation is done to avoid medication errors such as omissions, duplication, dosing errors, or drug interactions. It should be done at every transition of care in which new medications are ordered or existing orders are rewritten. Transitions in care include changes in setting, service, practitioner, or level of care. EMscribe® is able to automate this process through its proprietary Artificial Intelligence (A.I.) and NLP technology. 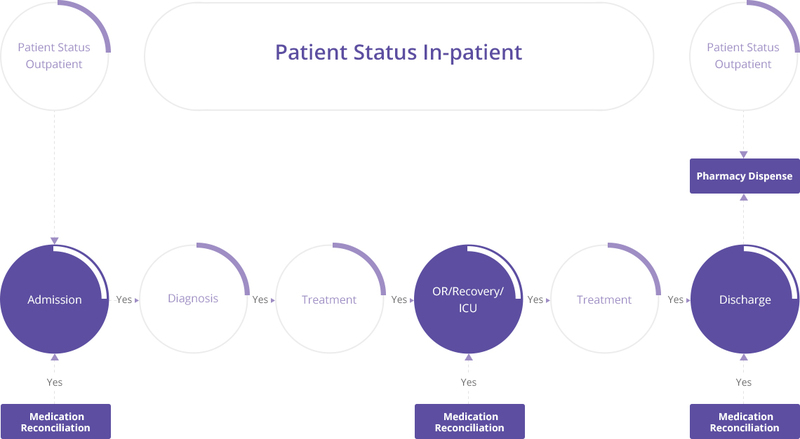 By reading through past and current clinical documentation, EMscribe® is able to abstract from the patient chart drug name, dosage, route, and form. Drug data abstraction & presentation is highly customizable & tailored to client specifications. Medication lists can be viewed in both the EMscribe® Graphical User Interface as well as fully integrated into the EMR via API. This valuable information can be used to track all sorts of Quality Initiatives within your particular facility. AMI EMscribe® is able to automate the process of Medication Reconciliation through its proprietary Artificial Intelligence (A.I.) and NLP technology. By reading through past and current clinical documentation, EMscribe® is able to abstract from the patient chart drug name, dosage, route, and form. This allows physicians to spend more of their valuable time on patient care.